This is one of my favorite desserts. 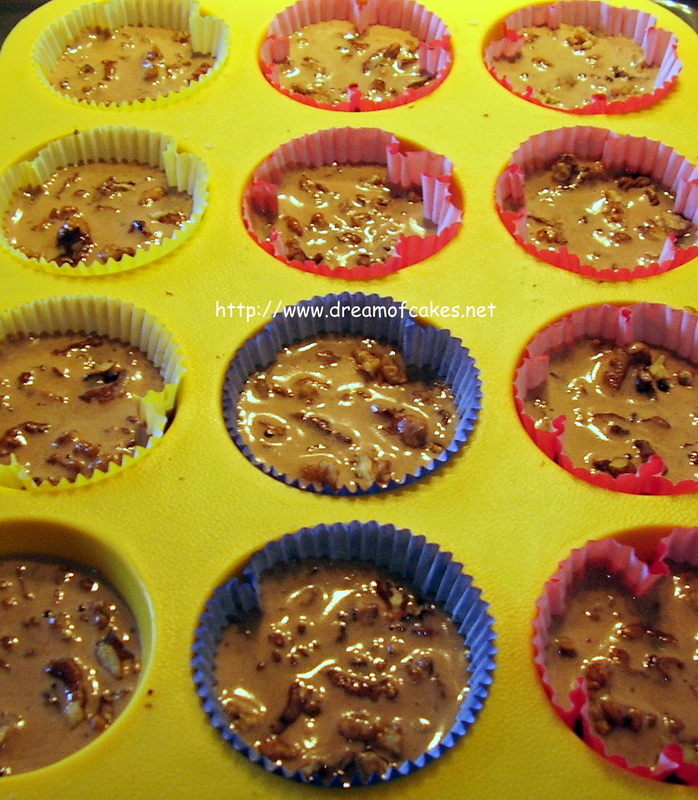 I like chocolate and walnuts very much, so the combination of these two ingredients forms the ideal sweet treat for me...! Below you will be able to find the step by step instructions on how to make these tarts, and at the bottom of this post you can find the recipe. 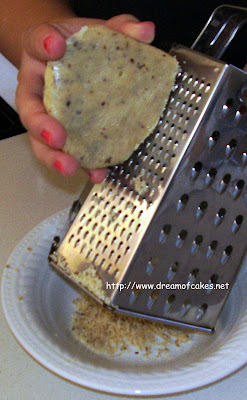 The dough has to be hard enough in order for you to be able to grate it. 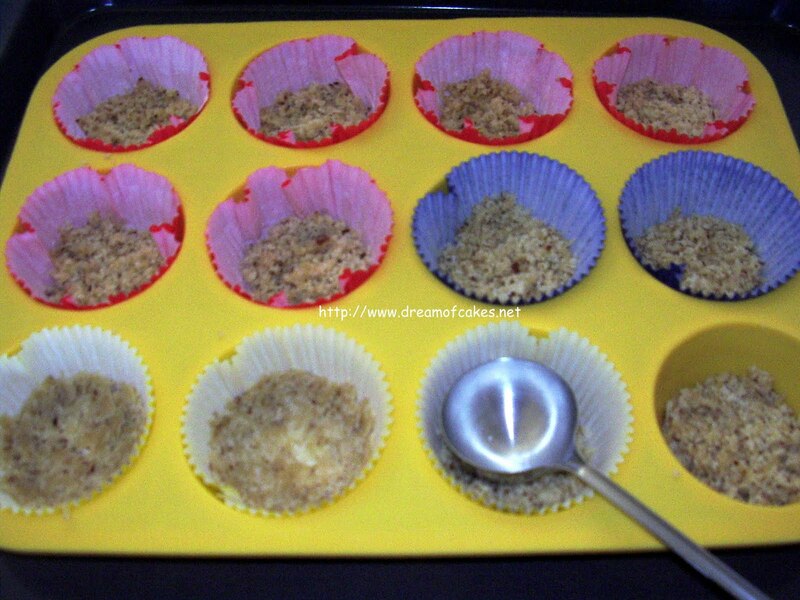 With the help of a spoon, divide the grated base into your silicone cupcakes pan. Press the dough into the bottom of the cupcakes pan to form a unified base. Mix well the sugar, the cocoa powder and the egg. In a sauce pan heat the milk and dissolve in it the butter. Do not boil. 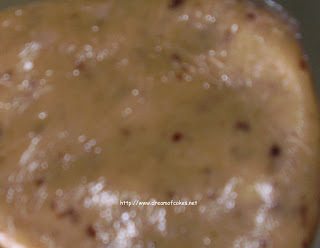 Pour the milk mixture into the cocoa mixture and mix well; add the vanilla essence. 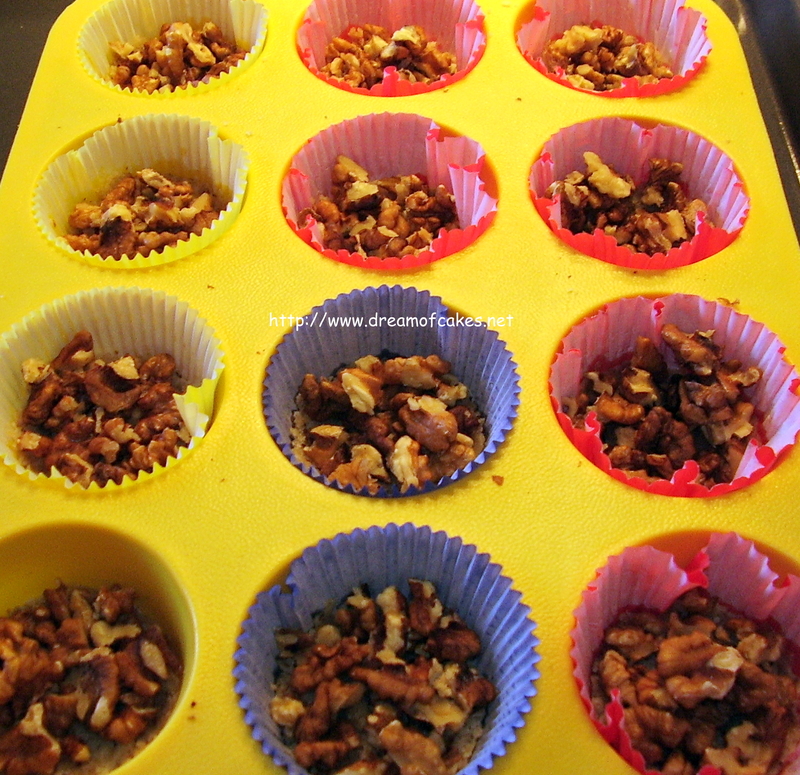 Place the chopped walnuts on top of the base. Pour the cocoa mixture into the cupcake pan. In a preheated oven, bake for 25’ to 30’ minutes at 180ºC. ﻿Allow to cool in a wire rack. 1) In a food processor mix all ingredients for a few seconds. Without over mixing the dough wrap it up with clean film and refrigerate it for at least one hour. The dough has to be hard enough in order for you to be able to grate it. 3) Press the dough into the bottom of the cupcake pan to form a unified base. 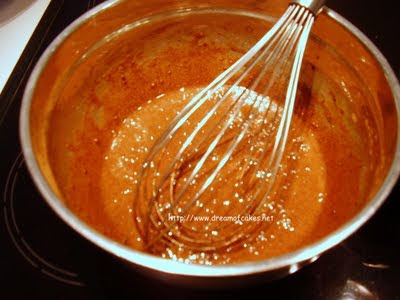 1) Mix well the sugar, the cocoa powder and the egg. 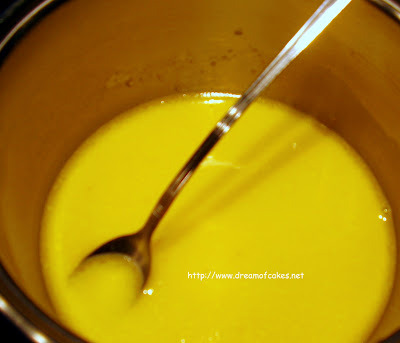 2) In a sauce pan heat the milk and dissolve in it the butter. Do not boil. 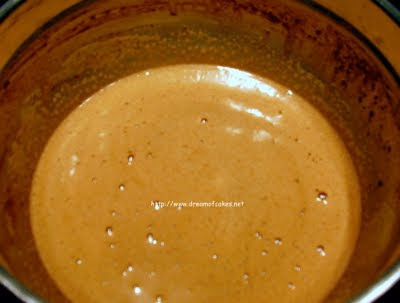 3) Pour the milk mixture into the cocoa mixture and mix well; add the vanilla essence. 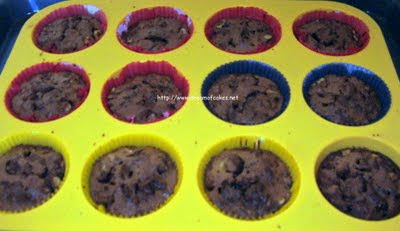 4) Place the chopped walnuts on top of the base and then pour the cocoa mixture into the cupcake pan. 5) In a preheated oven, bake for 25’ to 30’ minutes at 180ºC. 6) Allow to cool in a wire rack. You can serve them with vanilla ice cream or fresh cream. Enjoy…! This looks delicious! I wonder how it would be with a Mexican/Aztec chocolate variation, with cinnamon and cayenne. I look forward to trying it! With my family I'll have to double (or triple) the recipe. Sounds wonderful, Eftychia. So cute. Oh, these tarts look so good! 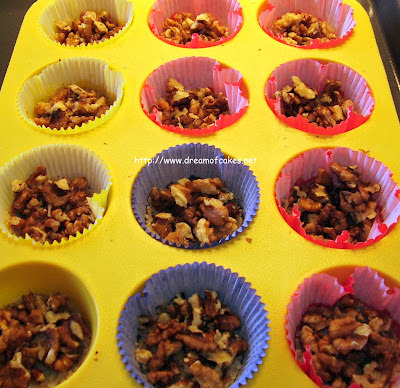 I'm a fan of anything with walnuts! Sounds and looks delicious!!! Thank you so much for sharing! Sound and looks delicious, Eftychia!!! Thank you so much for sharing! Those look divine! Chocolate and walnuts is such a wonderful pairing. Bookmarking this for sure! That's cool! I love that you had a bottom, center and cake! Delicious! The layering of the nuts in the bottom and method of grating the dough makes this a unique recipe. In addition to this, your pictures have sold me-I saved the recipe. Well done. I'm not a big fan of chocolate, but the walnuts look fantastic. And my son would gobble these up. I love the colorful wrappers! These could be addictive. Chocolate and walnuts are a nice combo. Wowowo, the tarts look incredible , now that my vacation is over , i have found lots of incredible recipes to make and this is one of them :D, good one eftychia . 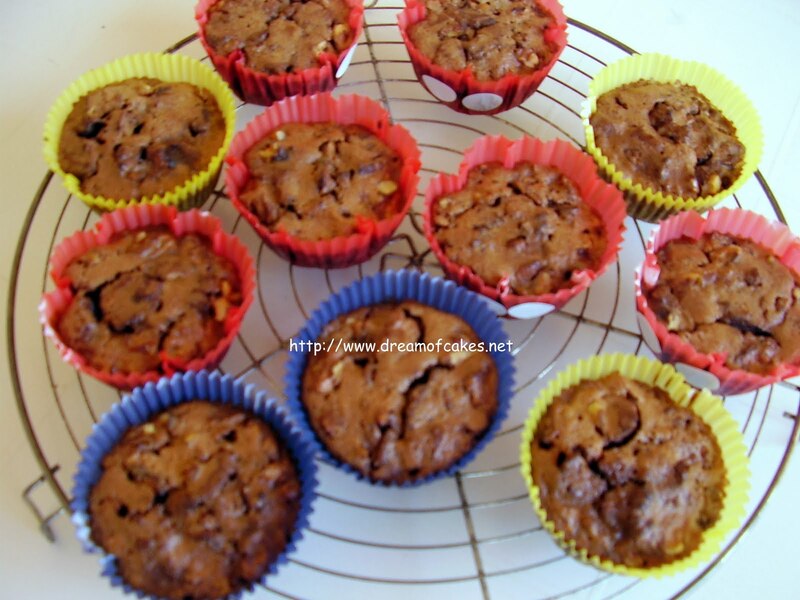 Love walnuts and chocolate, these look so great! Eftychia, are you on Twitter? I wanted to tweet your last post about cancer awareness but I didn't see you on Twitter!! Yes, I am on twitter as "Dreamofcakes". chocolate and walnut would be great combination and these tarts are looking so pretty. I love the small size and flavor combination! yum, these sound perfect. Elegant and delicious! Neatly done my friend !! yummy to eat !! These sound wonderful! I love chocolate & walnut! !